Further developing our own boards. This is management work in which we figure out the topics and organization. Partnering with other people with their own boards. 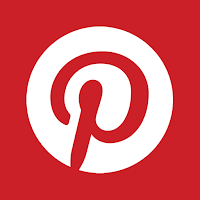 Pinterest is a social media and part of success with the media is socializing with other people and organizations with complementary interests. Overall, the idea is we share traffic with each other. Who, who, and how formally/informally? Work on our sites. Step 1: Better images for sharing onto Pinterest for our site. Pinterest likes big images but we've tended to shrink our images on some sites for faster loading times. Pinterest likes images that are statis, we've made many of ours into rotating gifs. Work on our sites. Step 2: Better placement of social media icons. We've done this across three of our four major sites, we also have five minor sites to do this one. Work on our sites. Step 3: Lets get our web design team to take a look at implementing the Pinterest icon integrated on the images on either T4W or S4U to see how it works. On these images, on our site, we can cover up the repetitive elements (logo, captions) with a mask.